Gas is $3.65/gallon around many parts of the metro, and even higher in other parts of the country. As a result people are starting to combine trips, rethink purchasing that Hummer, and are generally looking for ways to cut their consumption – which is great. 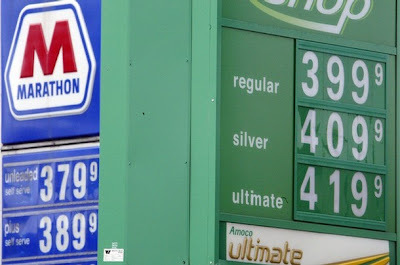 So what’s an average citizen to do with these soaring gas prices and miserable economy? The answer is not pawning off your gold to pay for more gas. I would suggest moving closer to where you work, riding Metro (if possible), or carpool. These are all obvious solutions, but it seems that the location one gets overlooked quite a bit and is the one that can/will make the biggest impact. Given that most people in this region work either Downtown or Uptown, I would suggest moving into the City of Cincinnati. Crime has been dramatically reduced over the past few years, Cincinnati Public Schools are poised to be ranked as ‘Effective’ (comparable to most suburban school districts), and there are numerous tax abatements available to avoid property taxes entirely in some cases up to 20 years…and you could save a lot money on your commuting costs.